We welcome you & Thank you for visiting our website. Vatsalya comes from the Sanskrit word which means, "Love that a mother feels 4 a child." Vatsalya, the word of India was considered appropriate to name the future taste of India. Vatsalya Milk & Milk product bears the quality tag of the Vatsalya Dairy. The company manufactures and markets highly functional consumer products. Mission: To achieve Purity, Perfection and Persistence in maintaining quality, delivering services and develops a healthy environment for workers as well as consumers through organized supply chains. Milk is an almost ideal food. It has high nutritive value. 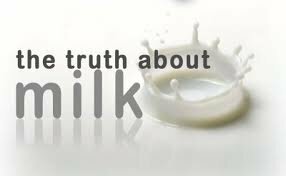 It supplies body building proteins, bone forming minerals and health giving vitamins and furnishes energy giving lactose and milk fat. Besides supplying some essential fatty acids, it contains the above nutrients in an easily digestible and assailable form. All these properties make milk an important food for pregnant women, growing children, adolescents, adults, invalids, convalescents and patients alike.